Disability, sexual & racial discrimination. Together we can tackle inequality! Ensuring a high profile on all health & safety issues with trained workplace Union Safety Representatives! The Strength of the union is in it’s members. The stronger the union, the stronger the voice! Providing a range of legal services to you and your family. 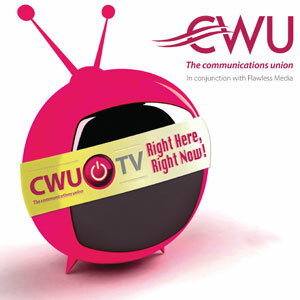 Totally FREE to CWU members! Providing exclusive money saving opportunities and a range of discounted service deals! Our number one priority will always be to represent you in your workplace. Member benefits have always been an added bonus and will remain so in the future. As such we wanted to make sure that all members were aware of the £5,000 Free Accidental Death Cover that we have negotiated with Union Insurance Services on your behalf. 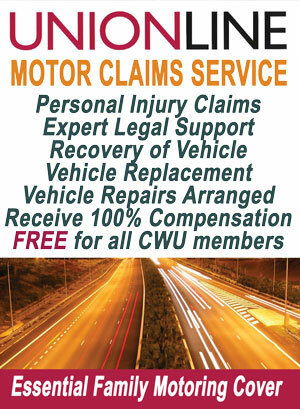 Click here to find out more about this CWU member benefit.